Christine Porter is well known for her portrayal of the sheep and wool industries in rural and remote Australia. 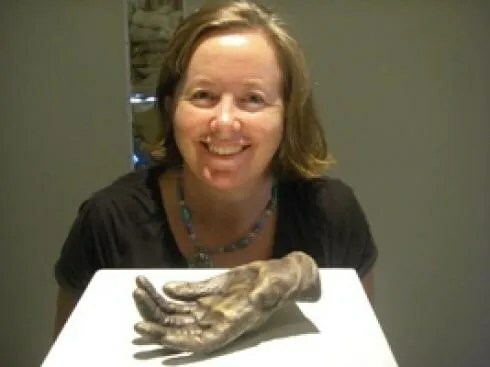 Since 2007, however, she has extended her practice to include projects inspired by ideas and subjects that create extra layers of meaning over her still essentially representational artwork. Scroll down to read about the three events in 2006-7 that contributed to this new work. Looking back it was obvious. Q: “Why do you need a university degree when you’re already an established artist?” they’d ask. A: “you can never have too many pairs of red shoes”, she’d answer. The academic context gave me a chance to explore my role as artist-as-thinker and increase my skills as artist-as-writer. With my practice having evolved in the dusty isolation of western Queensland, I had not, nevertheless, been immune to the contemporary art world. The diversity within Goondiwindi’s art community in the nineties led me to recognise the gaps in my art knowledge that couldn’t be assuaged by simple mimicry. 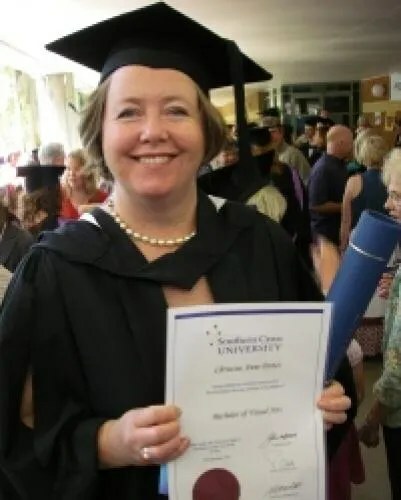 Receiving both an education and a degree by studying at Southern Cross University here in Lismore, my learning included art-making strategies, skills and theory. As well as the excellent teaching it was exposure to my multi-media-ed, many-cultured peers, and the artwork they made, that led me to an acceptance of both their mark making and my own. Ironically, it was this studio-wide tolerance of the “other” aesthetic that gave me the freedom to extend and improve my own traditional practice all the while experimenting at uni with alternatives. Superficially, it may appear that the indoctrination of academia has failed – in elements of my public practice I continue to make paintings that sit within a modernist paradigm, that are representational, installed as wall pieces and sold to the general public rather than the literati. On a deeper level I would like to suggest that from the very beginning I’ve been using my artwork to tell stories that have layers beyond the topographical. 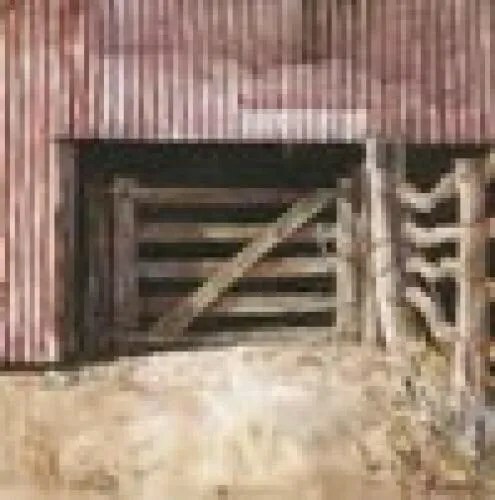 The 1994 “painted tin” exhibition in Barcaldine, for example, about the post war glut of men, corrugated iron and paint or the 1996 exhibition, “shearing shed”, celebrating the remnant shearing shed in Australia’s history – evidence of the moment Australia’s economy slipped off the sheep’s back. Before I went to university my storytelling had been incidental, now it became more deliberate – the content of each story, the installation and artist statement are all more considered. I’ve begun to lead the audience instead of having the pictures led by the implied narrative of the matrix. University changed the way I thought about “art”, but instead of cloning the atelier’s style – an identifiable situation on both sides of the contemporary/traditional divide – I have learnt to trust the integrity of my own artistic DNA – which happens to include seminal watercolour training by the late Frederic Bates, propinquity to the shearing sheds of Western Qld and mid-career exposure to the ideas of a contemporary art school. University has given me the freedom to be myself. Q: How can travelling to another country make you a better artist in Australia? A: It can’t, the only way you can become a better artist is to take your horizons and let them broaden you. The University of Southern Queensland’s 2006 McGregor Fellowship – a trip to the UK taken in 2007- was three months of touring galleries, meeting artists, a small residency and the inspiration gathering Hadrian’s wall walk (though in the end, every part of the trip fed my inspiration when the unplanned was allowed to lead the regimented astray). Time, space and geography conspired to allow me to develop my university learning away from the landscape of my practice. I was presented with opportunities to explore not only what I saw and felt, but exposed me to a broader inspiration-base. 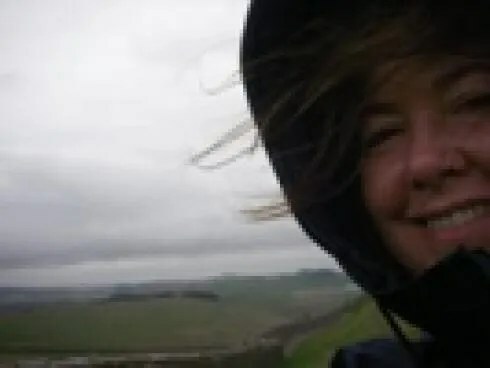 Ideas grew from time spent in my emigrant grandmother’s homeland: were informed by a Roman Britain I was walking across: played themselves out in the conversations of my journeylines and inevitably were consolidated into three bodies of work exhibited in Australia and Scotland in 2008. For me, the exhibition component would be as important as the research and travel experience. The fellowship prize included an exhibition at the Toowoomba Regional Gallery, six month’s after my return. The promise of that show meant that ideas percolated during the trip for both art and exhibition’s sake. The new work, more conceptual in nature if not in appearance, meant that for the first time I was presenting a side of me that had, up until then, been part of my “private” practice: the non-public part of my art-making that included student work, private journals and sketchbooks. If my university training had shown me that “art” was the place where ideas and images intersect, then this exhibition, and the one that followed at the Tweed River Art Gallery three months later, was the consolidation of that learning. During my first trip to Scotland in 2007, I was lucky to have a prestigious commercial gallery in Edinburgh give me a solo exhibition of my etchings. In 2008 I was invited back, at the behest of a different organisation, to show an exhibition of the British Breeds sheep paintings. Suddenly, I was beginning to see myself in an international context, just as the encouragement of Frederic Bates early in my painting career had placed me in the national context. Q: What do you do when your framer leaves home? A: you can take the framer out of the picture but, as a watercolourist, you can’t really take the picture out of the frame. When my framer, Peter Page, went travelling, I almost gave up painting in watercolour such was the degree of support I’d received from him and his family. I searched for a medium that would require less dependence on a third party. Acrylic on gessoed board was a simple, cost effective solution that could mimic watercolour, with some delightful challenges I enjoyed solving. For all the simplicity and immediacy of watercolour, there was something just as simple and immediate in this medium, and quite as satisfyingly “painterly”. In 2007 I created a body of work in acrylic about Myendetta Station, near Charleville in Queensland (pictured – the gate, 2007 acrylic on board, 15x15cm). This was followed by the development of the two bodies of work mentioned above: The lost gloves and remembering how to fly. The latter, especially, was as much about the sheer enjoyment of the painted mark as it was about the subject.Even though I’ve returned to painting the rural subjects almost exclusively in watercolour, I enjoy having the acrylic medium there as a legitimate and occasional option. (As to the framer conundrum I’ve taken the very successful geographical imperative of having two marvellous framers, one in Goondiwindi and the other in Lismore). I consider myself a watercolourist first and foremost, but since 2007 I’ve called myself an artist as well – which means I get to choose any material at my disposal to tell whichever story catches my eye at any given time. 2007 saw some major changes played out – about how I thought and wrote about art, the subjects I portrayed, even the materials I used. But it’s still me underneath all that hype. Just me sitting at the kitchen table telling you a story. More often than not it’s a story of rural Australia, and usually it’s about the physicality of that world. But for all the hierarchical implications of making art in the provinces, apparently provincially, it’s my story, and for me that’s what being an artist is all about.